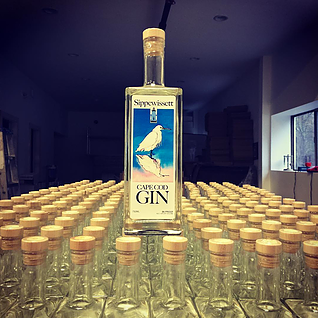 Sippewissett Cape Cod Gin is a twist on a traditional London Dry-style gin — moderate juniper up front, but balanced by an infusion of Cape Cod-sourced lavender, cranberry, rosehip, and beach plum. It is perfect with lemon in a refreshing summer cocktail, but where it truly shines is in a martini. Here the smoothness, bottling strength and complex character comes into its own. Try it in a traditional gin & tonic, or with a splash of cranberry & lime.